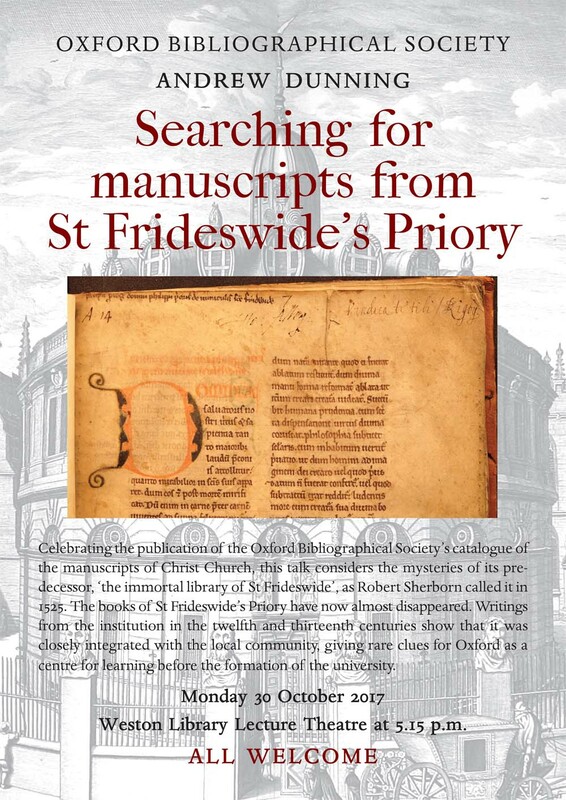 Celebrating the publication of the Oxford Bibliographical Society's catalogue of the manuscripts of Christ Church, this talk considers the mysteries of its predecessor, ‘the immortal library of St Frideswide’, as Robert Sherborn called it in 1525. The books of St Frideswide's Priory have now almost disappeared. Writings from the institution in the twelfth and thirteenth centuries show that it was closely integrated with the local community, giving rare clues for Oxford as a centre for learning before the formation of the University.